Wraps contain MSM and Trace Minerals for maximum overall nourishment, detox and toning! ALL wraps aid visual improvement of cellulite, skin and shape, and hydrate so you feel refreshed and revived. Choose your favorites based on experience or the descriptions below. Customize your own wrap by upgrading with additional Pro-Blends. Classic Suddenly Slender mineral wrap PLUS Flat-Tummy! Visibly reduce the appearance of cellulite and sculpt while hydrating with refreshing minerals - Includes Flat Tummy, Trace Minerals, Iodine and Water Balance Pro-Blend - Allow 1½ hours. Classic wrap to invigorate and help joints feel more mobile and less stiff - Includes Water Balance, Mobility and Recover Pro-Blend - Allow 1½ hours. Classic Sugar Buster targets apple-shape and reduces effects of heavy metal and chemical exposures (environmental, medical or dietary) - Includes Youthful, Flat Tummy, Purify - Allow 1½ hours. Prepay two Classic wraps, get one FREE! 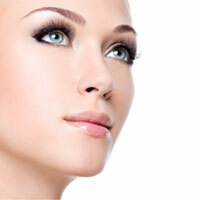 - Choose from Slender, Ageless or Detox - Use within one year. Premium wrap to lift, shape and tighten loose or damaged skin - Very successful for new mothers and all who have lost weight - Includes Youthful, Recovery, Super Skin Pro-Blend - Allow 1½ hours. Premium energy wrap boosts immunity with Defense, Recover & Purify - Allow 1½ hours. Premium super-charged nap-wrap useful when recovering from illness or hindrance to movement - To sculpt, follow with active wrap within a week - Water Bal, Mobile, Youth, Recovery, Super Skin, Defense, Purify - Allow 1½ hours. Prepay two Premium wraps, get one FREE! - Choose from Lift, Power or Dream - Use within one year. Add 20-min Sauna to any body wrap. Before to boost detox, or After to boost relaxation. Add 30 mins to full-body wrap appointment. Recharge your cells with a 30 minute Energy Foot Spa with vita-cocktail and silver water, and scheduled before or after any wrap. Add 45 minutes. A lipase wrap MUST be followed immediately by any mineral full-body wrap, making this wrap #1 of a 2 wrap appointment - Includes Flat-Tummy and Lipase - Add 1 hour to any other full-body wrap appt. Face Sculpting is a natural, non-surgical procedure developed to dramatically improve facial appearance in a minimum amount of time. The simple, non-invasive process involves three steps. First, we observe carefully the face and notice any obvious areas needing help and you clean your face with a no-grit, no-chemical cream that rolls off dead skin. This amazing cream is made of food grade ingredients. Second, you lie down comfortably, allowing facial tissue to relax, smoothing out naturally from gravity. After the dead skin rolls off using gentle massage strokes, the cream is removed with a warm cloth. Slightly elastic and highly porous strips of surgical tape are strategically placed to smooth out wrinkles, and enhance eyebrows, jaw line and cheekbones. Third, the face is wrapped with our special Suddenly Slender mineral solution which tightens skin where it’s been lifted while hydrating fine lines and reducing puffiness or dark circles. Wraps are replaced twice during the session for optimal results, followed by an all natural mini-facial massage for additional lymphatic drainage. As with all natural procedures, effects are noticeable after the first session. For increased and continuing effects, facial wraps are recommended on a regular basis. Your wrap technician can help you determine optimal frequency. Gently hydrating wrap to boost immunity & ease tension. Recharge with Defense, Recovery and Mobility - Allow 1 hour. Classic hydrating wrap to gently reduce the appearance of dry, dehydrated or irritated skin. Refresh with MSM, Trace Minerals, Youthful and Super Skin Pro-Blends - Allow 1 hour. Deluxe sculpting wrap to reverse the most obvious signs of aging: loose, dull, lifeless skin. Revive with Anti-Age Formula, MSM, Trace Minerals, Youthful and Super Skin Pro-Blends - Allow 1½ hours. Premium sculpting wrap enhances appearance of damaged, dull, loose skin. Renew with Lift formula plus Recovery, Youthful and Super Skin ProBlends - Allow 1½ hours. Boost relaxation: Add a warming infrared Sauna to any facial. Recharge your cells with a 30 minute Energy Foot Spa with vita-cocktail and silver water, and scheduled with any face wrap. Add 45 minutes to any face wrap. Add-On slimming wrap includes Lipase and Water Balance Pro-Blend to greatly reduce the appearance of puffiness - Lipase wrap MUST be followed immediately by any mineral facial or full-body wrap, making this wrap #1 of a 2 wrap appointment - Add 30 minutes to any other facial wrap or full-body wrap service. Reboot your nervous system to improve rest, immunity and pain cycles with TCM sound-wave acu-point therapy and a reflex application of essential oils during any facial wrap! Includes pulse assessment. Time included with facial wrap. Authentic Touch Therapy uses essential oils + sound waves to balance body system energy via the Chinese meridians. Pulse observation is used to understand where imbalance may be rooted and which of the 12 primary body systems may need support. 30 minutes. Authentic Touch Therapy uses essential oils + sound waves to balance body system energy via the Chinese meridians. Pulse observation is used to understand where imbalance may be rooted and which of the 12 primary body systems may need support. 45 minutes. The body is approximately 80% water & functions in part by transferring electromagnetic signals. Similar to a recharging a car battery, cells may greatly benefit from being re-energized. A BEST eSpa transfers electromagnetic signals from the module, into water, which are absorbed by the body. Like having your own private mineral hot spring! - May use once or twice weekly for up to 3 months, if needed - For maintenance, use monthly, bi-monthly or quarterly. 30 minute Energy Foot Spa with vita-cocktail and silver water, and scheduled with any other service. Add 45 mins to any other service. 35 minute Energy Foot Spa with vita-cocktail, silver water and Authentic Touch reflex aromatherapy foot treatment. Allow 1hr. 35 minute Energy Foot Spa with vita-cocktail, silver water, and full Authentic Touch aromatherapy. Allow 75 minutes. 35 minute Energy Foot Spa with vita-cocktail, silver water, and extended Authentic Touch Therapy. Allow 90 minutes. Mineral foot and leg soak, followed by 35 minute Energy Foot Spa with vita-cocktail, silver water, and full Authentic Touch Therapy. Approx 90 minutes. Prepay 5 Classic eSpas, Get 1 Free. Use within 1 year. Prepay 5 Deluxe eSpas, Get 1 Free. Use within 1 year. All saunas are not alike! Sunlight’s Solo far-infrared rays penetrate deeply to warm from the inside out at a lower temperature than regular saunas. Benefits include muscle & skeletal pain relief, heavy metal detoxification, increased immune function, stress reduction, weight loss promotion through calorie loss and cardiovascular support. The warmth also adds an exceptionally relaxing boost to any table massage or facial. More benefits here. * Ladies please bring swimsuit or extra set of wire-free bra/underwear. Gentlemen, please bring extra set of underwear. Boost relaxation by adding a gently warming Infrared Sauna to any table massage or facial session. (No extra set of clothes needed.). Time included in massage or facial session. Boost your body wrap experience by adding a 20 minute Infrared Sauna before or after any active body wrap. “Before” to increase detoxification or “After” to increase relaxation. Adds 30 mins to any active wrap. 30-minute Infrared Sauna with hydration cocktail and skin-cleansing mist. Boost immune function, relax muscles, promote detoxification. Allow 45 mins. 40-minute Infrared Sauna with hydration cocktail and skin-cleansing mist. Burn calories, promote weight management and detoxification. Allow 1 hour. 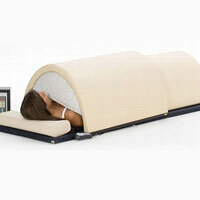 Prepay 5 Deluxe Infrared Sauna and 5 Deluxe eSpas and schedule together. Allow 1½ hr each visit. Use within 1 year. Properly applied massage strokes relax muscle tension and relieve pressure on nerves and tiny blood vessels which improve overall communication, nourishment and wellness! Our skilled practitioners use a variety of bodywork techniques to aid relaxation, relieve the effects of stress and reduce causes of pain, including posture imbalances & neurofascial memory patterns. Choose Classic Indo-European relaxation massage; Reflexology using sensory reflex areas on feet, hands, ears to relax and promote wellness; or our signature Wellness Massage which is tailored with targeted corrective myoskeletal & stretching techniques and may also include acupoint therapy, Authentic Touch, Tip-To-Tip, biotracker, or other wellness techniques. Organic oils or Badger Balm nourish skin and herbal applications soothe nerves and reduce pain. Pure and pleasing essential oils reduce stress, boost immunity, relieve pain and enhance overall experience. Choose the sessions that meet your needs from head to foot. Due to photosynthesizing effects of essential oils, do not use a tanning bed for 48 hours following a massage. If you plan on tanning, tell us at the beginning of your massage and no essential oils will be used. Choose Reflexology, or full body Relaxation Massage, or a session of Authentic Touch aromatherapy. 30 minutes. Choose Reflexology, or full body Relaxation Massage, a session of Authentic Touch aromatherapy or our signature Wellness massage with targeted therapies and stretching. 45 minutes. Choose Reflexology, or full body Relaxation Massage, or our signature Wellness massage with targeted therapies and stretching. 60 minutes. Choose full body Relaxation Massage or our signature Wellness Massage with targeted therapies and stretching. 75 minutes. Choose full body Relaxation Massage or our signature Wellness Massage with targeted therapies and stretching. 90 minutes. Our team delights in bringing stress-relief to the community. On Site corporate massage services are a unique way to reward employees, enhance morale and create a memorable group experience. Please call to discuss your specific situation.